As discussed in our blog of August 22, 2011, North Carolina House Bill 542 will drastically change our state’s evidentiary rules in regard to personal injury trials. The previous law only allowed the introduction of evidence of medical charges. The amounts such charges are typically higher than what the medical providers actually receive in payment, because many personal injury claimants own health insurance. The health insurers usually have arrangements whereby they pay medical providers only a portion of the full charges. Pursuant to the new law, the only evidence which may be admitted is of the amounts actually paid in satisfaction of the medical bills and any outstanding amounts which must be paid. The new law effectively gives the negligent defendant the benefit of the plaintiff’s years of paying healthcare premiums. Of course, evidence that the defendant owns automobile insurance remains inadmissible. 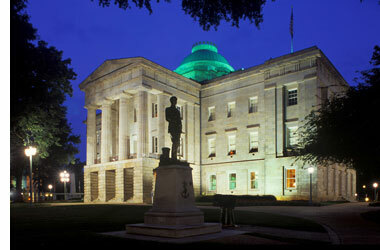 North Carolina Senate Bill 586 / Session Law 2011-283 has made one notable change to House Bill 542. As previously drafted, House Bill 542 would have applied to all personal injury actions filed on or after October 1, 2011. However, Senate Bill 542 amends this effective date and provides that the new rule applies instead to actions arising on or after October 1, 2011. This avoids a so-called “mad dash” to the Courthouse. It also means that, for the most part, personal injury claimants who discovered their injury, or reasonably should have, before October 1, 2011, will receive the benefit of the old law. To determine which set of rules apply to your case, and how that affects the value of your claim, you should contact a knowledgeable personal injury attorney. The Raleigh civil litigation attorneys of Maginnis Law, PLLC can advise you as to your rights under North Carolina House Bill 542 and Senate Bill 586. Our lawyers offer free consultations for all cases, including personal injury matters, and are willing to travel to meet with you. We accept personal injury cases on a contingency basis so that you pay no attorneys’ fees unless you actually recover for your injuries. If you or a family member has been injured in or around Raleigh, Cary, Chapel Hill, Wake Forest, Apex, Clayton, or Morrisville, contact the civil litigation attorneys of Maginnis Law, PLLC at 919.480.8526, or you may submit a new case inquiry by visiting our contact page.